Humanity Is Dead has just been updated. 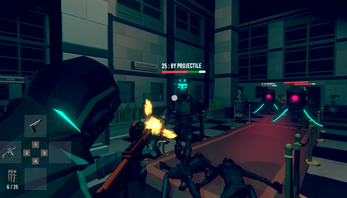 A third-person action shooter where you are facing a war between humans and robots. 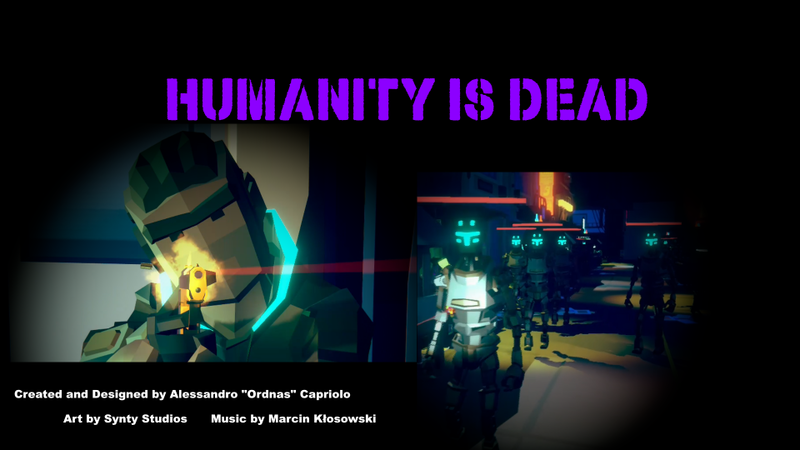 "Humanity Is Dead" is set in a distant future, where a cyber-virus is spreading and robots are going crazy all over the world, threatening the survival of the human race. PC version available to download, with scalability graphics settings. The game has potential, can't wait to see how will it develop later on. We will try it ,thanks! KILL THE ROBLOX RTHRO MODELS!!!!!!! I played your game as my first video. The game was really good, but I found a couple bugs. The bugs are seen in my video. Will there be a Chapter 2 to this game? I would love to keep playing the game. Thank you for playing the demo, unfortunately the bugs are a compromise for developing the demo in a short time. The chapter 2 depends if I will find a publisher for the game, some publishers were not interested enough so for now the project is blocked. Next week I will update the game with new content and a new level, adding the run button! Awesome! It's also great to see you interacting with the community. Não me diga que é brasileiro? PLEASEEEEEEEE RELEASE THE FULL GAME!! THIS WAS SOOOOOO GOOOD!!! I enjoyed it, I' love to see more of whats to come! Can you add an Options menu ? This game is slow, it's not bad bit the movement is slow and I couldn't run what so ever and it made it a bit of a rag. I liked it fro it's concept but the running and the aiming of the gun could be worked on. This was the last game I played. Neat game. 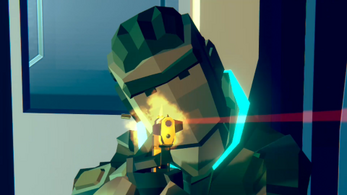 I like the graphics, the blocky style works well with a future based game. The GIF's graphic design is MUCH better than the prototype's. Love the game and I will be watching further development and updates. Also, this is an apocalypse; things are going to look a little "rust-ic", if you can mind the pun. Nice game. I'm happy! Thank you!!!! 감사합니다!!!! I really enjoyed the game, I might suggest a crouch option if possible, I was trying to sprint and couldn't but I actually liked the slow walk concept. I played it during my twitch stream and really enjoyed it, featured it in my twitch highlights video. My buddy directionally challenged asked me to play it. I can't wait to see where this game goes in the future, what are your plans to improve? GrynchGaming thanks for playing! 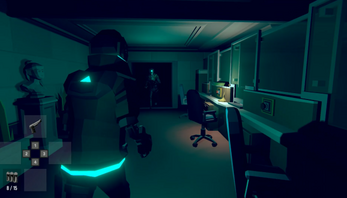 I am glad that you liked it, these days I am working on it, I am adding some of the stuff that I cut for not having enough time (a couple of new areas, new weapons, AI improvements and the ability to sprint to say a few). I need to send the final prototype to the publisher, but I will upload the new version anyway on itchio. Nice style, maybe a bit too slow paced (could need a sprint key). Also there are some gaps in the level design where you can pass between a car and a wall and walk out of bounds. Aiming on the head does not always work. After one shot the red dot will not appear on the head again until you aim somewhere else first. Solid start here but I think the gameplay still has a long way to go! For a prototype this does a great job of showcasing the awesome music and art though, definitely the games strongest point right now. I'm looking forward to seeing how the gameplay evolves from here! Thanks CoalFire for playing! Yes, there were some issues during the development (a change from an RPG to a shooter genre, that stripped away a lot of content). Next month I will update the game with new content, it will be the wip that will be send to the publisher. This game's got a ton of potential! 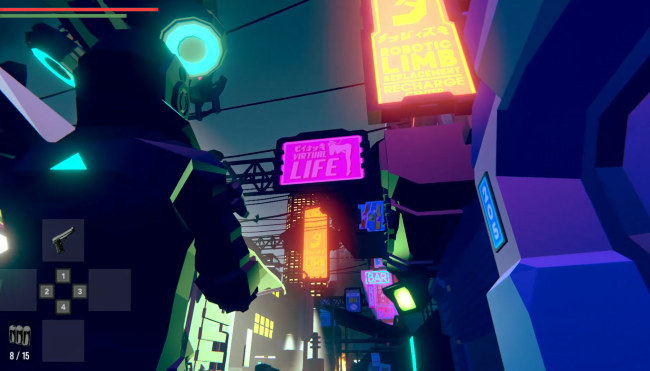 The soundtrack and art style are definitely some great steps towards a hopefully great new cyberpunk game in the future! Thanks for playing! I still need to realize how you found that glitch of the missing floor at the end of the game! Thanks Jay! Unfortunatelly the game was short but I intend to update the prototype with new content. The game had some issues that required my to remove the sprint button, but I will definitely fix that. It bugged. When the game changed scenario in a blink i wasnt at an intended place, that led me to continue at the initial area, permiting me to wander through the map. I saw many well constructed places, inside buildings too. I could appreciate some art there. Ive seen many buildings that in actual game you cant see... try deleting some stuff to make the playthrough smoother. I need to investigate on that bug, it seems quite random. The web version lacks of optimization, the heavy parts are the dynamic lights which I fixed partially (the sudden "blink" at the end of the corridor because I loaded synchronously lights of the next area). Actually I wanted the player to be able to drive a car at the beginning, inspiration was from Cyberpunk 2077 demo, I will try to add it in the next game update. HEY! THAT MODEL LOOKS FAMILIAR! LOVED IT! The character isnt human, right? lol! Robozombies are cool! --- Resident evil is a very good style to go. I enjoyed very much switch the gun back to the holster, added much realism. --- Ragdolls are fun. Interacting with them, besides shooting, would be also cool. --- Im sure you are gonna tweak the camera sooner or later. I would not focus so much on that right now, the game is playable. --- Im sure again that youre gonna add another gun (or granade, or whatever) asap ^^. --- Your level design is good. Dont let people say its your fault when THEY dont know where to go. --- The atmosphere is PERFECT. It would atract more "eyes" to this game by adding some little eastereegs about the upcoming lore (maybe some places to press "E" ou "F" to activate a text popup). Again... dont focus on a thing or solve early glitches. Make the game show its features, let your imagination flow without getting stuck. You have a very nice replayable game here! I'll be glad to continue giving feedbacks of gameplay or help the development somehow. Im looking forward to the updates. Thank you very much gutsmangbs for the feedback list! I was thinking to have the camera more distant to the character when you are not aiming, and fix collisions with the enviroment. I wanted also to put a rifle in the second scene, but I had to discard it, I will put it in the next iteration of the prototype.I was worried about the level design, I could not make any playtesting with others, glad you did not have any issue with it. why can't i sprint lol? Cool game, but browser controls are bad. Love the graphics they look really cool and I also love the perspective. It would be really cool to add the shooter controls for pc mouse pad other than just the mouse controls.